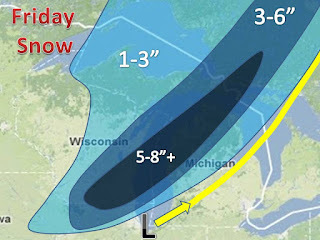 A strong low pressure will move through the Midwest tomorrow and tomorrow night. 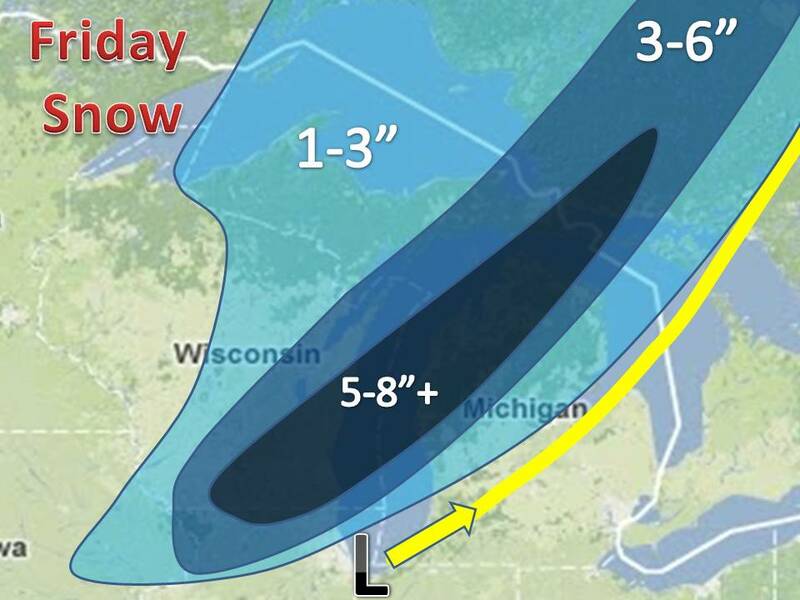 It will bring areas of heavy snow in Wisconsin and Michigan. The storm will produce a dangerous severe weather outbreak tomorrow. Southern Ohio and Kentucky could see the worst of it with a record breaking tornado outbreak possible. Conditions are off the charts, hopefully it does not materialize. With that said some of these thunderstorms may rotate up into the cold air dumping even heavier amounts of snow. There MAY be some areas up to 10" if thundersnow develops.